Steinway Model B grand piano. 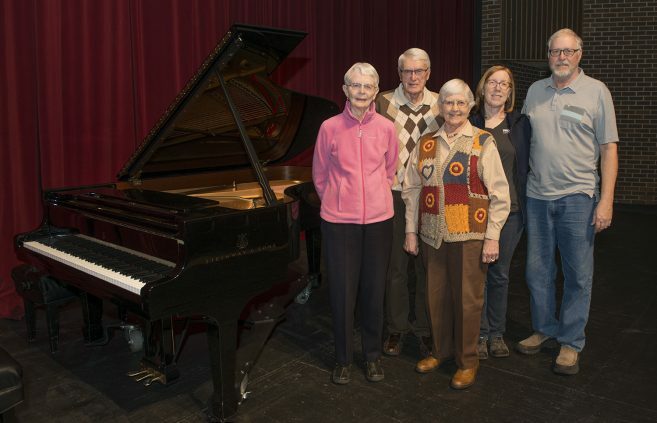 Audience of the Steinway Reception. 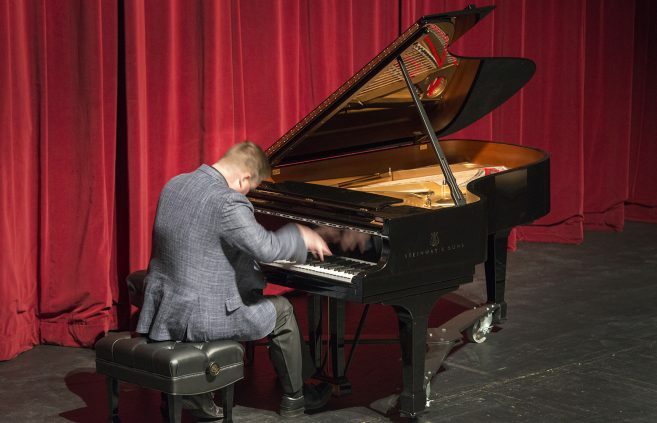 Performer of the Steinway reception. Dr. Renbarger performing at the Steinway reception. 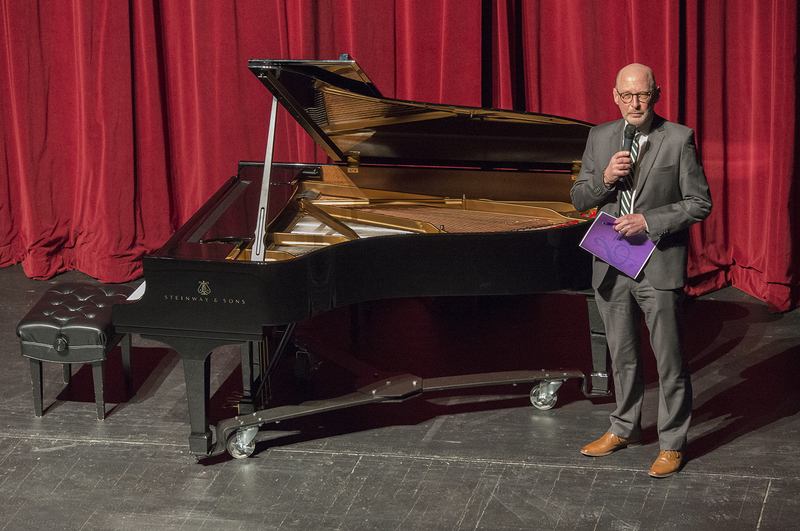 Dr. Stephen Carlson, professor of music and chair of the Department of Music, at the Steinway reception. 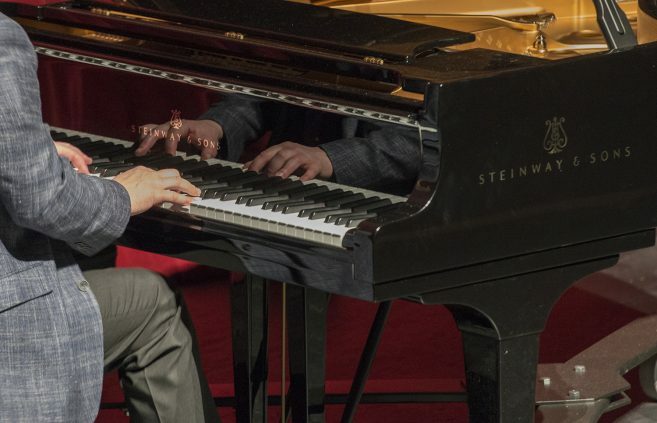 Performers of the Steinway reception. 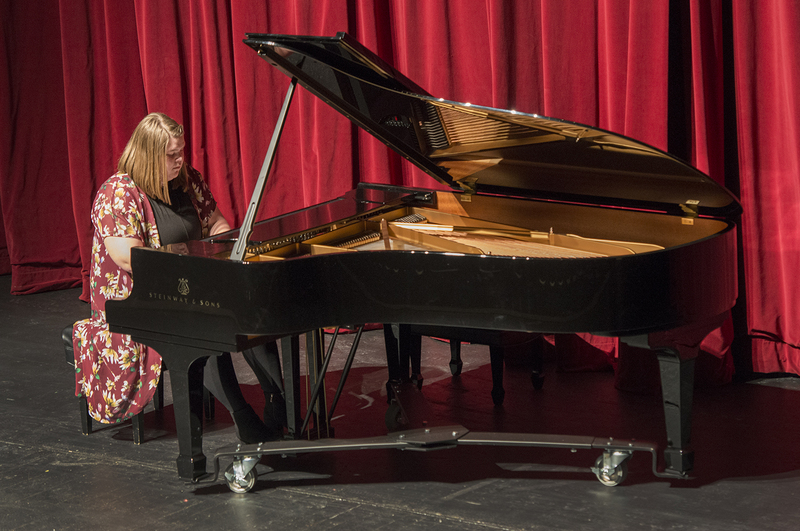 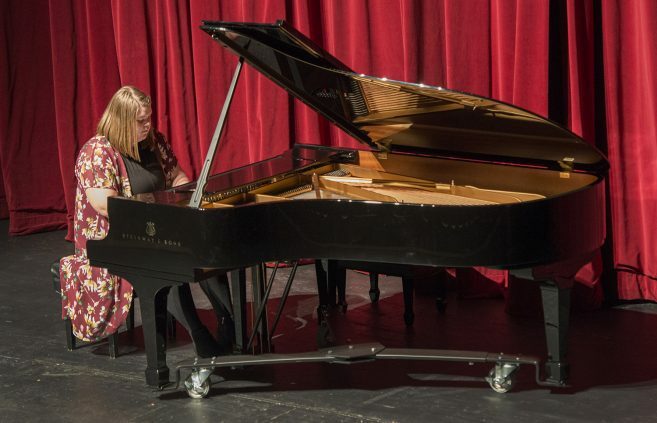 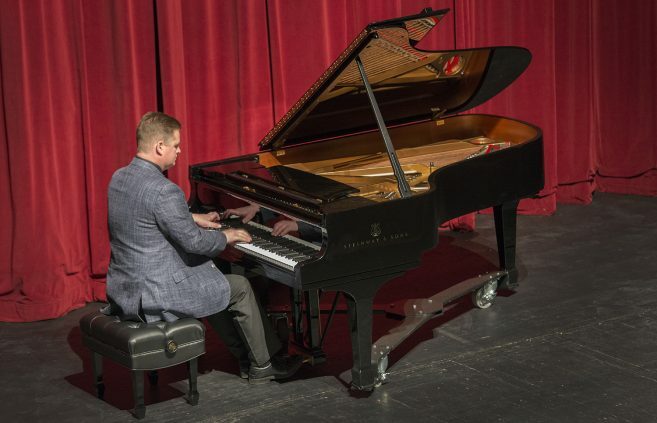 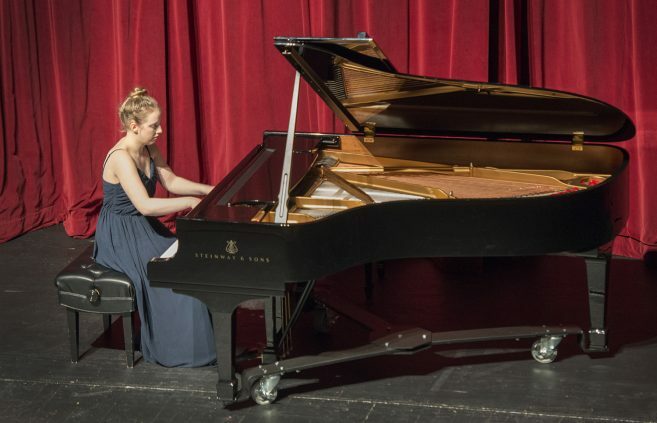 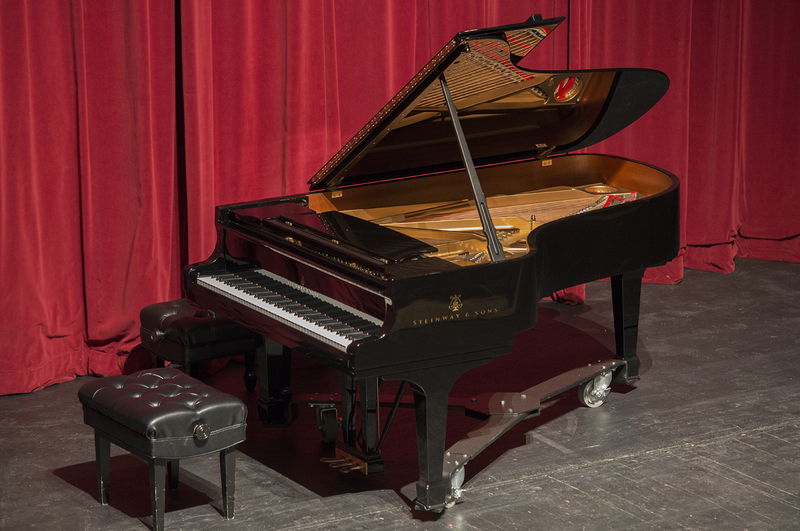 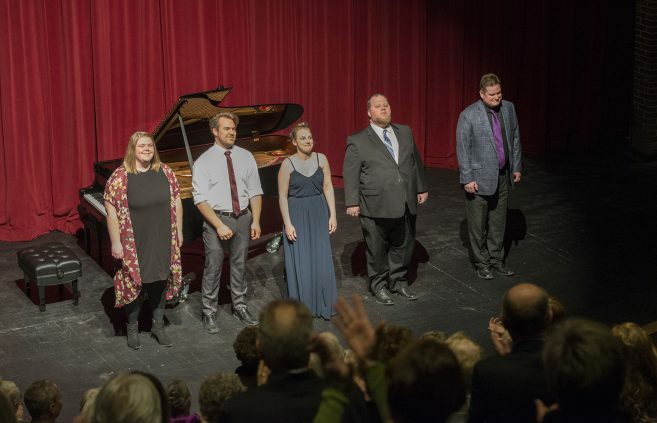 Bemidji State’s Department of Music debuted their new Steinway Model B grand piano during a March 29 recital. The department welcomed the piano earlier this month thanks to a generous donation from Marilyn Vogel ’71 and Leland Wilkinson. 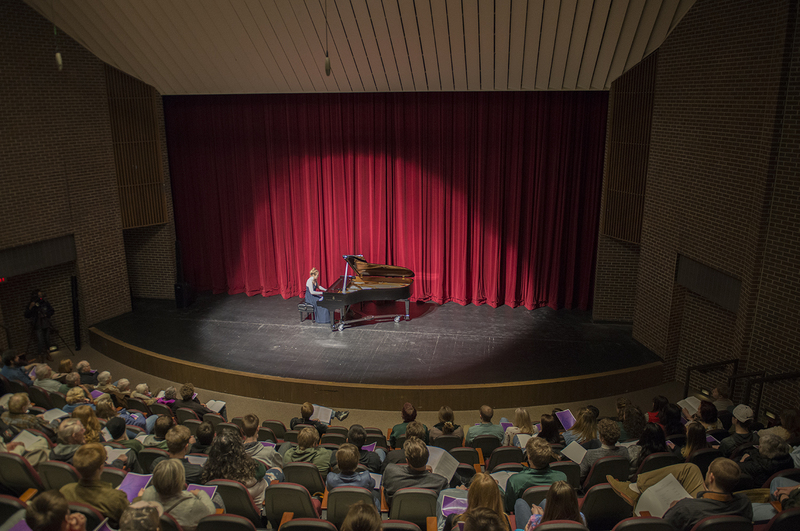 Three BSU students, Kaitlyn Huhta, a junior from Sebeka, Minn. majoring in music education, Ben Larson, a senior from Solway, Minn. majoring in music and Angelica Novinger, a senior from Bemidji. 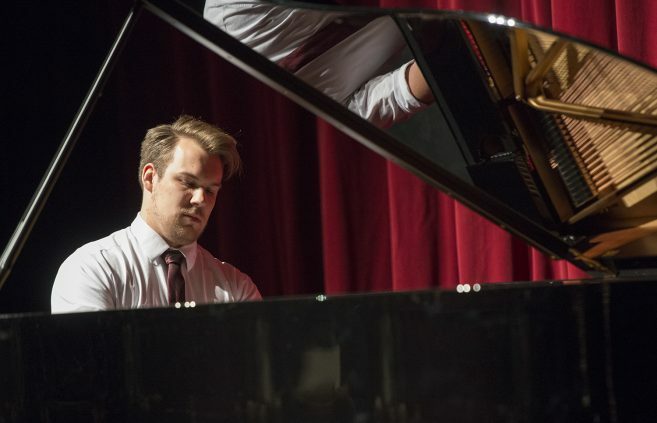 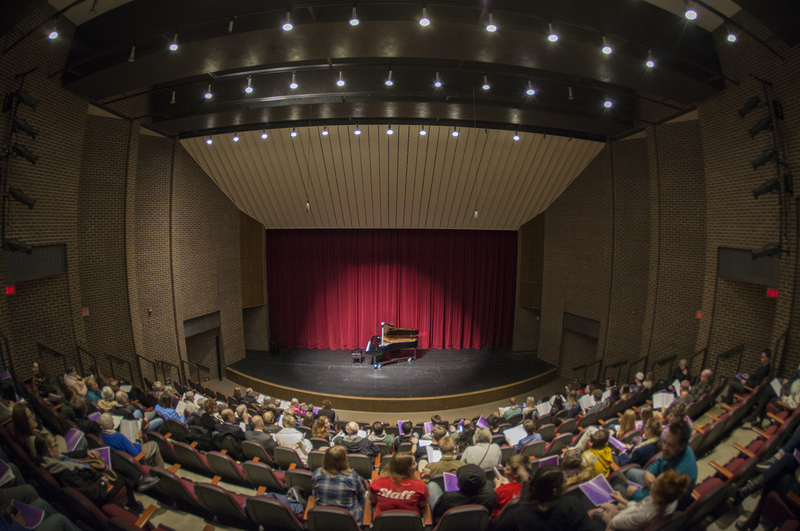 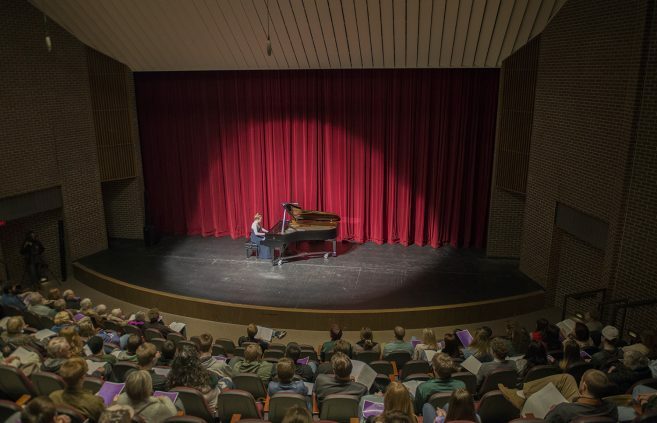 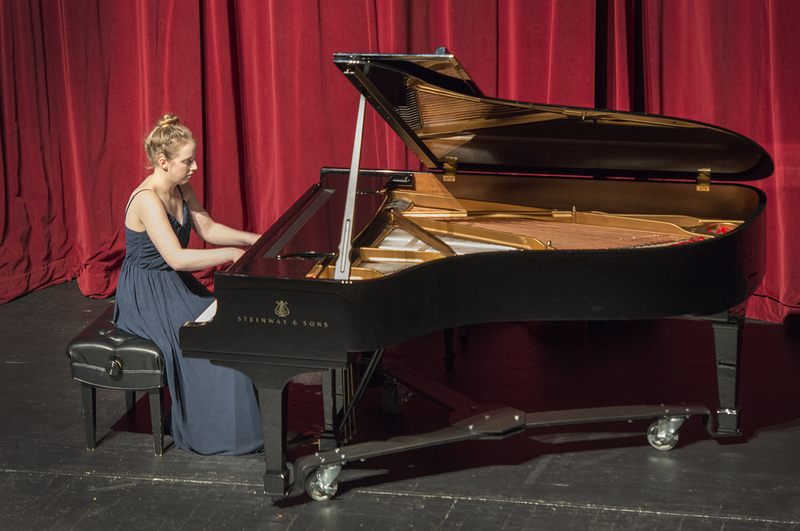 Minn. majoring in music performed piano solos during the recital. 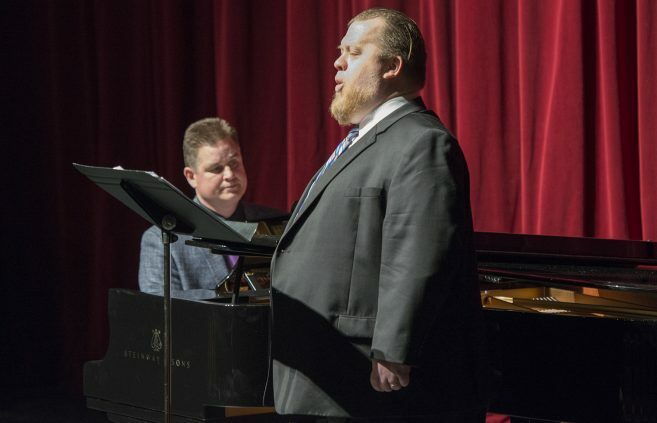 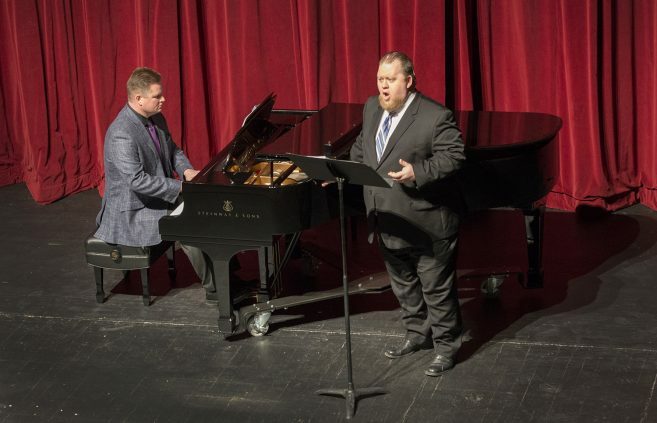 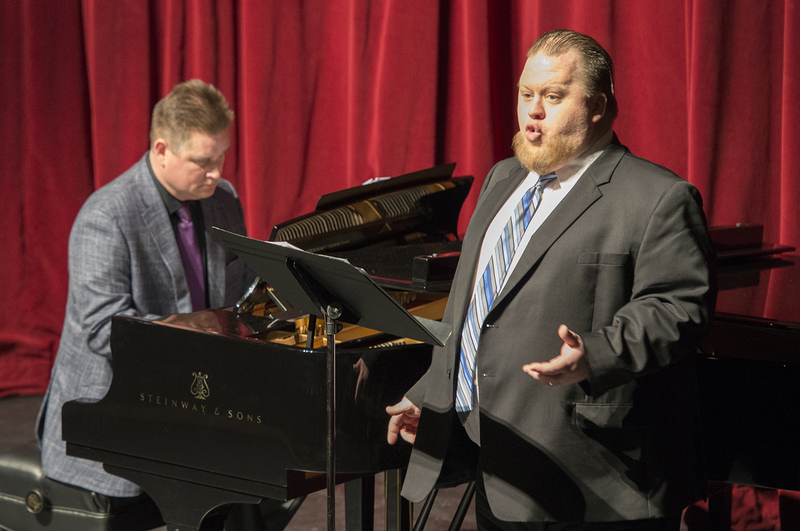 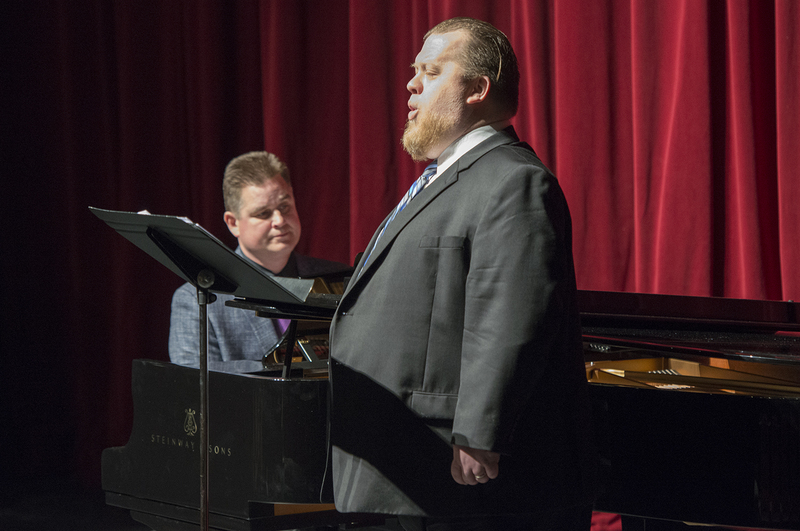 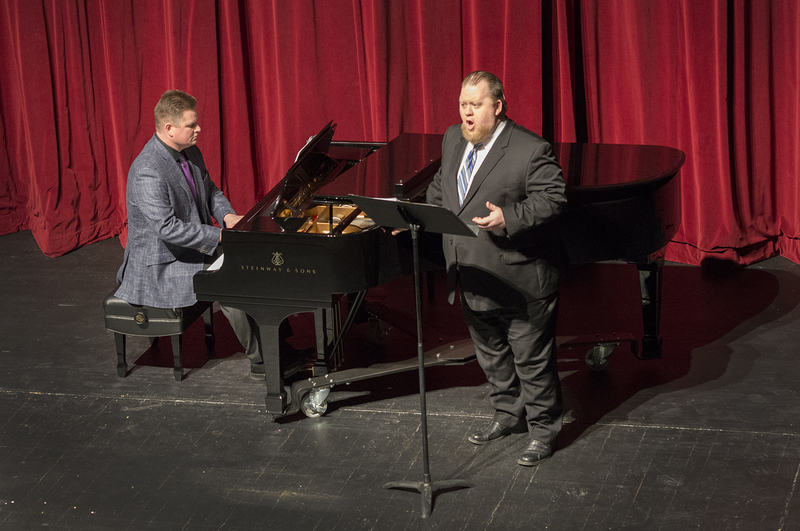 Dr. Stephen Carlson, professor of music and chair of BSU’s Department of Music, also performed a solo and accompanied Dr. Cory Renbarger, associate professor of music and coordinator of applied voice. Carlson says the piano illustrates the university’s commitment to performance art and the Department of Music.